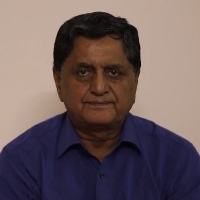 Prof Ramesh Chander Kapoor began his career in 1971 at the Uttar Pradesh State Observatory (now Aryabhatta Research Institute of Observational Sciences, ARIES) at Nainital in observational astronomy. Since March 1974 until 30.09.2010, he was with the Indian Institute of Astrophysics (IIA), Bangalore where he worked on various topics in relativistic astrophysics black holes, white holes, quasars and pulsars etc. His association with the institution continues. He has been participant as observer and organizer in many solar eclipse expeditions of IIA. His current interest is the historical side of comet sightings and observations from the Indian region that have received little or no notice at all in more recent literature. He is active into popularization of astronomy and has also published on Indian Systems of Medicine. He has published a number of research papers in peer-reviewed international journals and presented papers in national and international conferences. He has all along been active into popularization of astronomy. He has many popular articles published in national dailies and science magazines. He frequently interacts with the print and the electronic media on diverse scientific topics of interest to the general public. Prof Kapoor has participated as observer and as organizer in a few solar eclipse expeditions of IIA (1980 India, 1983 Indonesia, 1995 India, 1999 India, 2009 India, 2010 India) personal in 2017, USA. He organized the Transit of Venus observation events in 2004 and 2012 at the campus of the Indian Institute of Astrophysics which were witnessed by thousands of people and students. For over 25 years, he organized astronomy exhibitions during the Indian Science Congress annual meetings on behalf of IIA. His current interest is in the history of astronomy in India. He has been exploring the historical side of comet sightings, eclipses and the observations made from the Indian region since antiquity. Astronomy is such a fascinating subject that attracts not only students but also layman and amateurs. Curiosity to understand the subjects is very common in all age groups. Historically, Astronomy is one of the oldest sciences concerned with the study of planets, stars, galaxies & other celestial objects and phenomena. From time immemorial the night sky has fascinated many cultures in the past including the Indians, Babylonians, Egyptians, Chinese & the Greeks and it continues to fascinate us even today. "My inclination towards astronomy led to my graduation and then post graduation in Astrophysics. In 1971, I started my career and joined Observatory (now Aryabhatta Research Institute of Observational Sciences, ARIES) at Nainital in observational astronomy. Then, in 1974 until 2010, I was with the Indian Institute of Astrophysics (IIA), Bangalore where I worked on various topics in relativistic astrophysics - black holes, white holes, quasars and pulsars etc. His association with the institution continues. In 1980, I completed my Ph D from Agra University. I actively participate in popularization of astronomy and have also published research papers in peer-reviewed international journals and presented papers in national and international conferences. I have also published on the physical-chemical nature of bhasmas in the Indian Systems of Medicine." Astrophysics is a branch of space science that applies the laws of physics and chemistry to explain the birth, life and death of stars, planets, galaxies, nebulae and other objects in the universe. It has two sibling sciences, astronomy and cosmology, and the lines between them blur. "My inclination towards astronomy led to my graduation and then post graduation in Astrophysics. In 1971, I started my career and joined Observatory (now Aryabhatta Research Institute of Observational Sciences, ARIES) at Nainital in observational astronomy. Then, in 1974 until 2010, I was with the Indian Institute of Astrophysics (IIA), Bangalore where I worked on various topics in relativistic astrophysics black holes, white holes, quasars and pulsars etc. His association with the institution continues. In 1980, I completed my Ph D from Agra University. I actively participate in popularization of astronomy and have also published research papers in peer-reviewed international journals and presented papers in national and international conferences. I have also published on the physical-chemical nature of bhasmas in the Indian Systems of Medicine."